Then she made...: Define Yourself! Not even sure if that is something that is real but it seems like it should be. Lately I have been enjoying the company of my own thoughts. I've traversed a lot of ground in my gray matter and have come to a few conclusions. We need to let go of the things that people define us as - unless those definitions are positive of course. Even the people who know us and love us the most can define us wrong and if we hang on to those definitions it can lead to a lot of sadness, confusion and just over-all self doubt. Let me share a really good example. It's personal so welcome to my soul. Years ago, just after I was married, I started to notice a shift in the dynamics of my family I grew up in. All of us siblings were married, many with children of their own, and it seemed that our family closeness was well, not close. I think this is normal as families grow and you shuffle in-laws and new traditions and life responsibilities. But I was concerned at the time that our family dynamic was suffering from these changes. Being the youngest, I kind felt like I was missing out on something that my siblings had had with each other. So, doing what I thought was a good thing, I attempted to try and bring my family together. I started a family newsletter that everyone could contribute to and my husband and I started to organize events that were non-religious and non-holiday. It seemed that the majority of our family gatherings were related to church things and holidays - which is good. However, we did have some family members that weren't religious so Kent and I were looking for ways to get everyone involved. One event that we planned was a little potluck picnic and kite flying on an island in the middle of the Great Salt Lake. We bought a whole bunch of kites that the kids could color, decorate, and fly and it was a lot of fun. Or at least I thought it was. I was really happy with how it turned out and thought it was a great thing. Afterwards though, in a conversation with my dad, he mentioned that he thought some of the things we were doing for our family were superficial. I was really hurt by that. I truly thought that we were planing things, and doing things, that were building relationships. Everyone seemed to be having fun. And so what happened next, because of that one comment, I fully regret. I let that comment define me and I pulled away. We actually ended up moving really far away from family and still to this day, I'm not as close as I'd like to be with my siblings all because I thought that because my dad said I was superficial, than everyone thought I was too. In hindsight, and now that I know myself much better than I did back then, I know that my dad was wrong. I also know he didn't mean it in a mean way. I wasn't being superficial I was just sharing myself in the way that I was most comfortable with. The way I shared and served wasn't the same way he would do things so in his mind, he read my actions as superficial when I read them as sincere. It hurt then but I understand now. I read the well known book The Five Languages of Love a few years ago and it helped me greatly to understand more about what I do and why I do them. I bring this all up because the other day I had a similar experience with my husband and all this came back into my mind. 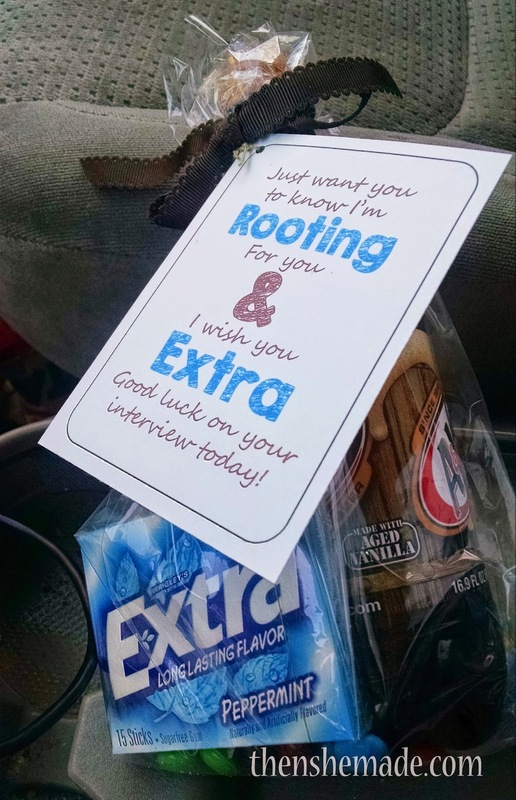 I had made some little gifts for co-workers who were all interviewing for a new position at work. The gifts were cheesy and I knew they wouldn't help them get the job but I wanted them to know I was supporting and encouraging them. When I showed the gifts to my husband, he kinda smacked his lips like he had a bad taste in his mouth and rolled his eyes. It is not his thing. He's not a gift giver. His language of love is very different from mine. I could have very easily read his body language as him saying "that's stupid, you're stupid." But I didn't. I recognized our differences and I just laughed at his response and gave those gifts away anyway and I smiled because it was so "me". And, I was really happy with that - it was "ME!" Doing things like this makes me happy. Acts of service and words of affirmation are my languages of love. If I could go back in time, I would not have let my Dad's statement affect me so much. I would have still continued with family kite festivals and other things because organizing those things was my way of showing love, through service, to my family, I just didn't realize it at the time and neither did my dad. Funny how we become wiser as we age. I'm becoming more and more comfortable with who I am, thick waist and double chin, too. I've come along way to be able to say, "this is me, this is what I do!" and then not care how people take my actions and interpret them. So, my point. If you are hanging on to the words that others have used to define you, and they don't settle in a good way in your soul - let them go! You know yourself better than anyone else so go ahead, define yourself. 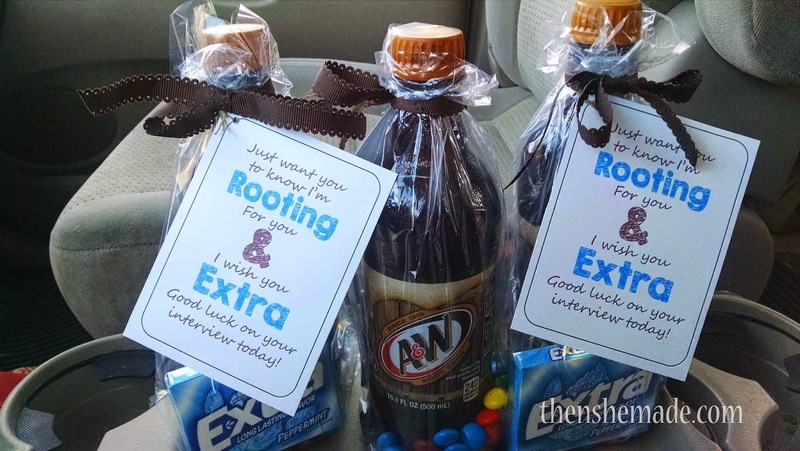 Extra Gum + a Rootbeer = I'm rooting for you & I wish you Extra good luck..."
Very good post! Thanks for sharing! Lots of food for thought, but my feelings would have been hurt too. Thank-you for this. I have had a comment by my father hurt me too...as well as others...this is a good reminder to not take things to heart so much. I have found that if I give things time (and give things to God!) I can let things go better than I have when I was younger. God created us with passions that make us unique and those interests and creativity and desires are all useful for a reason. There is no need for us to let ourselves be defined by someone else' passions and talents and their viewpoints! You and I speak the same language!